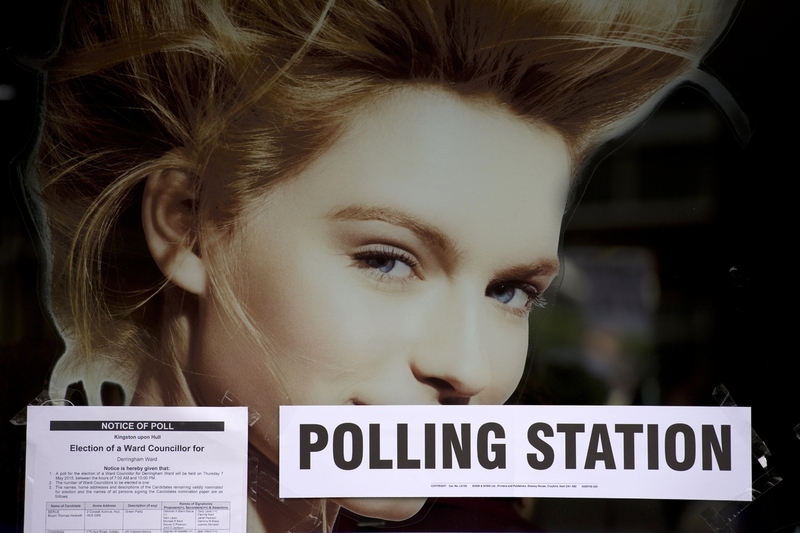 SOUTH QUEENSFERRY, Scotland, May 9 (Reuters) - After sweeping almost all the seats in Scotland in Thursday's British election, the leader of the secessionist SNP cautioned British Prime Minister David Cameron on Saturday: Ignore the wishes of Scottish voters at your peril. Cameron's Conservatives stormed to a surprise overall majority in the national parliament, but scraped only one seat in Scotland while the Scottish National Party, less than nine months after losing an independence referendum, grabbed half of all the votes cast north of the border. "My message today to Westminster is this: Scotland's voice will be heard in Westminster now more loudly than it has ever been before," SNP leader Nicola Sturgeon said in the shadow of the Forth Bridge outside the Scottish capital. "As I told the prime minister when I spoke to him yesterday, it simply cannot be and will not be business as usual when it comes to Westminster's dealing with Scotland." Sturgeon did not mention independence in the speech but the election's stark results illustrate the gulf between the wishes of voters in Scotland and England. A full 319 of the 331 seats taken by the Conservatives were in England as they promised economic prudence and warned that the Scottish nationalists would seek to rip the United Kingdom apart if they won a kingmaker position to a Labor minority government. The SNP won 56 of Scotland's 59 seats by vowing to stand up for Scotland in Westminster and end the spending cuts imposed by Cameron's finance minister, George Osborne. "The people of Scotland on Thursday voted for an SNP manifesto which had ending austerity as its number one priority," Sturgeon said. "We will not let you down." 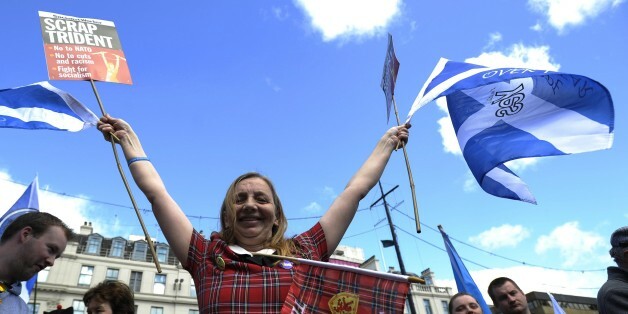 Scots voted 55-45 against independence in a referendum last September, but the SNP's energetic campaigning still convinced many Scots, even some who do not want independence, that it was the best party to represent them in the British parliament. In the short term, it is unclear how the SNP can keep Sturgeon's promise against a Conservative government with a clear majority and the power to pass any budget that it wants. In the longer term, the spectacle of 58 out of 59 Scottish members of parliament being repeatedly outvoted in Westminster will do nothing to quell independence aspirations. If, in 2017, Britain votes to leave the European Union in the referendum that Cameron has promised, while most Scots vote to stay in, that sentiment will only grow. Though the SNP leadership have worked for independence all their lives, Sturgeon, Scotland's first minister, has given different signals on whether she will pledge another secession referendum when she stands for re-election in the Scottish regional assembly in May 2016. Alex Salmond, the 60-year-old former head of the SNP now newly elected as an SNP lawmaker in London, told reporters after Sturgeon's speech that he would "absolutely" see independence in his lifetime. On the eve of September's referendum, Scotland was promised additional taxation rights, and bills giving it the power to set income tax rates and influence welfare spending are now due to be passed. On announcing the formation of his new government outside Number 10 Downing Street on Thursday, Cameron pledged to keep the United Kingdom together by devolving more powers to Scotland, but with fairness for England, which has no regional government akin to those of Scotland, Wales or Northern Ireland. "In Scotland, our plans are to create the strongest devolved government anywhere in the world with important powers over taxation," Cameron said, adding: "No constitutional settlement will be complete if it did not offer also fairness to England." But many Scots and some English already see their countries drifting apart. "Scotland and England are on different tracks now, and I think independence is just a matter of time," said Will Fleming, who lives in Edinburgh and voted SNP.